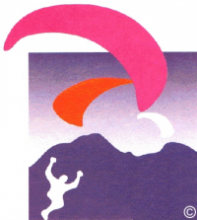 In accordance to the rules based on Point A.5 of the Competition regularity from the Austrian Aero Club http://www.paragleiter.org/?page_id=187 in the current Constitution. Task Type: Depending on the weather, Polygon race, free distance race, race to goal, return race to goal or Triangular Course. The Task will be set directly before the start (Briefing-compulsory attendance) from theTask Committee. used Glider must have validli ability insurance and a seal of approval. Helmet, emergency chute and back protector are mandatory. Pilots who do not care about the directives of the organizer or endanger themselves or other Pilots or properties will be disqualified without warning. Accomplishment and Evaluation according to the official Competition Regularity of the OeAEC. Documentation only with GPS (info www.paragleiter.org). All Pilots are self dependent that their GPS is readable (special Data Cables you have to bring at your own). Written, half an hour after notice of the results and simultaneous payment of the protest fee. Doping controls may be made unannounced. 50 starting places are reserved for pilots with Austrian sports license. 30 starting places are reserved for pilots with a German sports license. 10 starting places are reserved for pilots from Tyrol (participants of Tyrolean championship). The remaining starting places are assigned to pilots of further nations. To confirm the registration the payment of the full entry fee is required. Late Registration: 26. 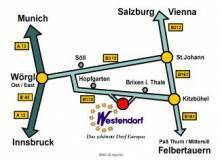 May until 8:30 am, Check-In-Desk, Cable car Station, Alpenrosenbahn Westendorf. 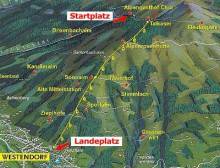 To be Paid cash at the Check-In-Desk Cable car Station “Alpenrosenbahn” Westendorf. The decision on a cancellation will be announced at the earliest possible time (usually on Thursday evening before the competition) on our WEB site www.gfc-westendorf.at and at www.livetrack24.com.